A Lego version of the movie trailer for the biggest little superhero has finally arrived. Ant-Man has charmed audiences and critics alike, and now comes the most charming—and size-accurate—part yet. This Lego version of the movie trailer was put together by Toscano Bricks (a.k.a. Antonio Toscano) and shows off some incredibly detailed work. From the explosions, to the swarms of ant allies, to the even tinier version of Ant-Man running up the gun, an impressive amount of work went into recreating the trailer for a new medium. For those interested, here’s the original trailer off of which this remake is based. 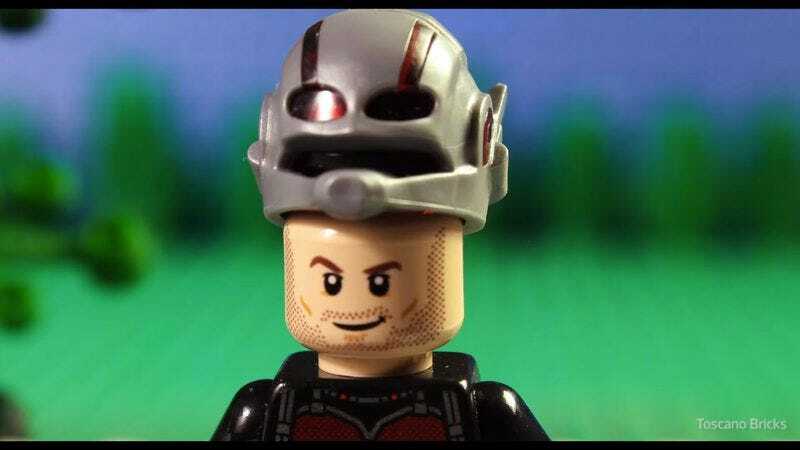 It’s nice to see Paul Rudd’s charm transcends flesh and is still evident even in Lego form. Now, if only someone would make a Lego version of his character’s scenes from Wet Hot American Summer, all would be right with the world.